BIG News: Maruti Baleno with SHVS badging spotted testing! The Maruti Baleno with the mild-hybrid SHVS technology could act as a possible replacement for its diesel derivative post-Bharat Stage VI implementation. The stringent Bharat Stahe VI emission regulations will become effective in India from April 2020. This will see carmaker upgrade their respective petrol and diesel engine in order to make then complaint with the same. The addition to new technology is going to make these engines and hence the cars quite expensive, particularly the diesel derivatives. Expensive BS-VI complaint diesel engines will not make any sense in budget hatchback which falls under the price range of INR 10 lakh. Hence, carmakers are likely to discontinue the diesel variants of their respective compact and premium hatchbacks. Countries largest automobile manufacturer, Maruti Suzuki, it seems, it going to replace the diesel engine derivative in its small cars with petrol-mild-hybrid versions of the same. With the addition of its SHVS system is going to provide additional mileage in comparison to the standard petrol derivatives. 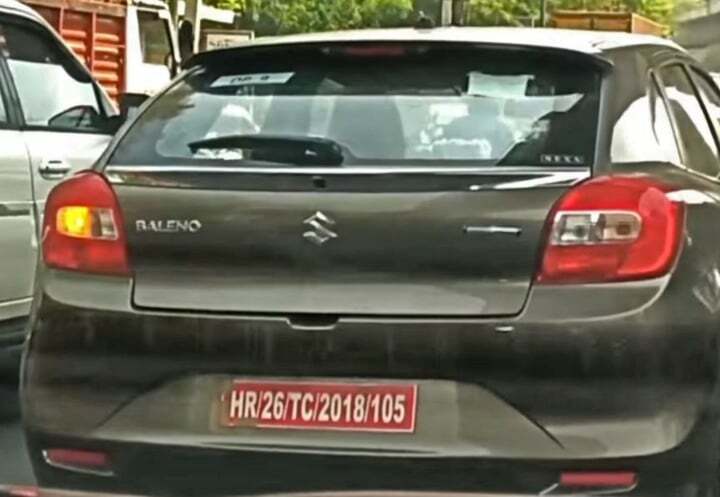 Recently, a Maruti Baleno, bearing a Smart-hybrid badge was spotted testing in Delhi. This further confirms that Maruti is indeed considering the launch a mild-hybrid version of this hatchback in our country. The company already sells the Baleno with the SHVS technology in the European countries. There this system is available with a 1.2-litre petrol engine and a 1.0-litre, 3-cylinder turbocharged unit as well. It remains to be seen which configuration the company decided to launch in the Indian market. Maruti Suzuki currently provides the SHVS technology in three of its cars in India. This is the Ertiga MPC, Ciaz Sedan and the S-Cross crossover. It is too early to comment if the SHVs technology with be made available in the Swift or not. It is likely that Maruti will discontinue the diesel variant of this hatchback post-BS-VI implementation. Also Read: Maruti Ciaz launched with a new 1.5-litre diesel engine- Five things you should know! The mild-hybrid system comes with a small battery pack that stores the energy while braking. It then supplies the same to the engine during acceleration, reducing the burden on the engine and hence reducing fuel-consumption. The system also shuts the engine down when it detects idling beyond a certain time.